Directions: Briefly rinse dried mushrooms in very cold water. 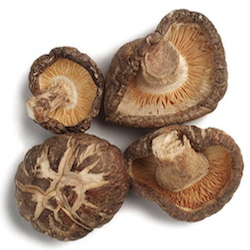 Soak in a volume of warm water that is equal to twice the volume of the mushrooms. Let soak for 15-20 minutes, drain and use as desired. Suggested uses: soup, stew and stir fry.